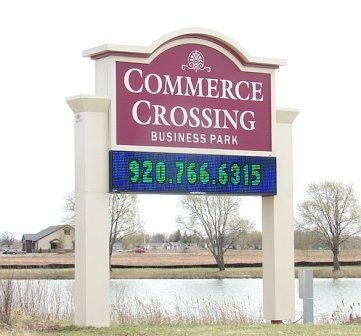 KAUKAUNA — Plans for what could be a Walmart at the Commerce Crossing development moved forward Tuesday with the approval of a purchase and development agreement. The Kaukauna City Council on Tuesday, Sept. 20, 2016, agreed to sell a portion of the development to Juniper Partners, according to WHBY. Juniper Partners is expected to make a final decision next month if it will purchase the property. City officials, however, wouldn’t confirm that Walmart would be at the location. Community development director Bob Jakel says the plans call for a retail building that’s at least 185,000 square feet and worth at least $15 million, according to WHBY. Construction would have to be completed within three years. In July, the Post Crescent reported that the city has been in discussion with developers regarding the property. In April 2013, EDG 18 Commercial Real Estate Group submitted a letter of intent to secure that property for a proposed Walmart. It let its option lapse after a nine-month exploratory period expired in 2014, according to the Post Crescent. The city of Kaukauna acquired the former Fox Valley Greyhound Park property (now called Commerce Crossing) in 2003 and tore down the racetrack building in 2006, according to the Post Crescent.